Physical Rehabilitative Professions is a two-year program is designed for highly motivated students who are interested in gaining a postsecondary edge in pursuing a career in the rehabilitative field. Located at Upstate Medical University, students will study the fundamentals of therapy, including the elements of movement, anatomy and physiology. As a postsecondary partner, Onondaga Community College provides onsite dual credit courses allowing students to begin building their college transcript. Another important component of the program is providing students with opportunities to shadow health-care professionals in the field. 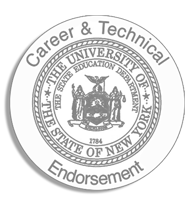 Students are also able to earn a Career and Technical Endorsement on their diploma by successfully passing an industry standard technical assessment. You might not realize it, but several health conditions can be treated effectively with physical therapy: headaches, dizziness, jaw pain and concussions, to name a few.